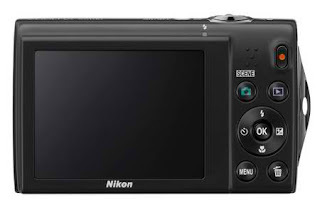 introducing the camera S5100 Nikon Coolpix compact digital point and shoot. Camera specifications are located between the S6000 and S4000, Nikon Coolpix S5100 supports rapid start-up time, shutter-release time is short and features 720p HD movie recording at 30 fps with a single button. S5100 Nikon compact camera has a 12.2 Megapixel sensor, a lens with 5x Optical Zoom, 4-way VR Image Stabilization System with ISO settings up to 3200, and an LCD screen measuring 2.7 inches. This camera also has a tripod detection function that detects the handheld or tripod shooting and automatically selects the ideal exposure, ISO sensitivity and shutter speed to reduce the possibility of image blur and ensures sharp images produced. S5100 Nikon camera also offers 18 scene modes, Auto Scene Selector, Subject Tracking and Smart Systems Nikon Portrait. 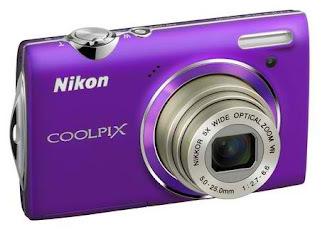 Nikon Coolpix S5100 will be available in October at a price of $ 179.95, or 1.5 million dollars. It comes in a choice of black, purple, blue and pink.